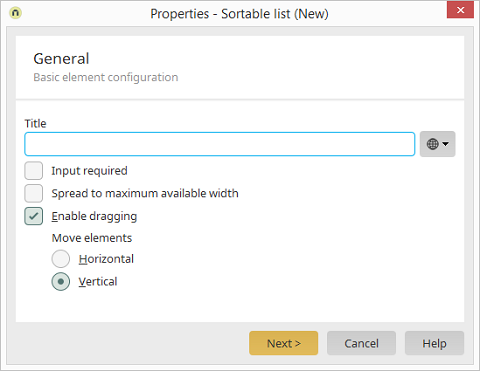 The sortable list can be defined as a mandatory field with this setting. This allows for sorting the list in the end device via drag & drop. Defines whether the entries can be dragged horinzontally or vertically.